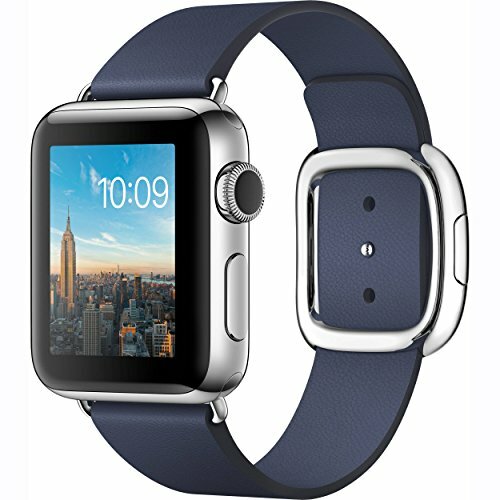 Stay connected in style with the 38mm Apple Watch Series 2, which comes with a stainless steel chassis and a midnight blue medium Modern Buckle leather band. Designed for users looking for the next generation of connectivity, Apple's Watch moves your iPhone's apps and functions to your wrist, so you can do more while leaving your phone in your pocket. If you have any questions about this product by Apple Watch 42mm, contact us by completing and submitting the form below. If you are looking for a specif part number, please include it with your message.